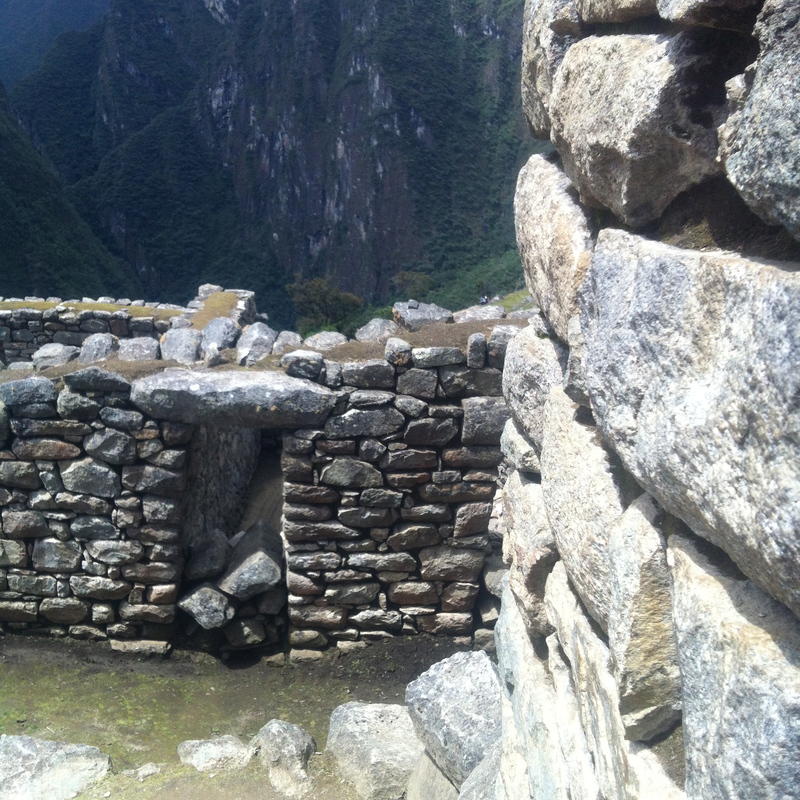 No trip to Peru is quite complete without a visit to the magical, world-famous Inca site of Machu Picchu. From Cusco it’s still a bit of a trek to get there so we decided to break up our journey and explore the beautiful, historical town of Ollantaytambo (also locally referred to as Ollanta, probably as the city’s name is a real mouthful!). We arrived in Ollanta by colectivo; these are comfortable mini-vans that regularly shuttle between towns and where for S/10 you get a seat on the bus that leaves when full. Go to Calle Pavitos and you’ll know you’re in the right place as everyone yells to get you on their vehicle! 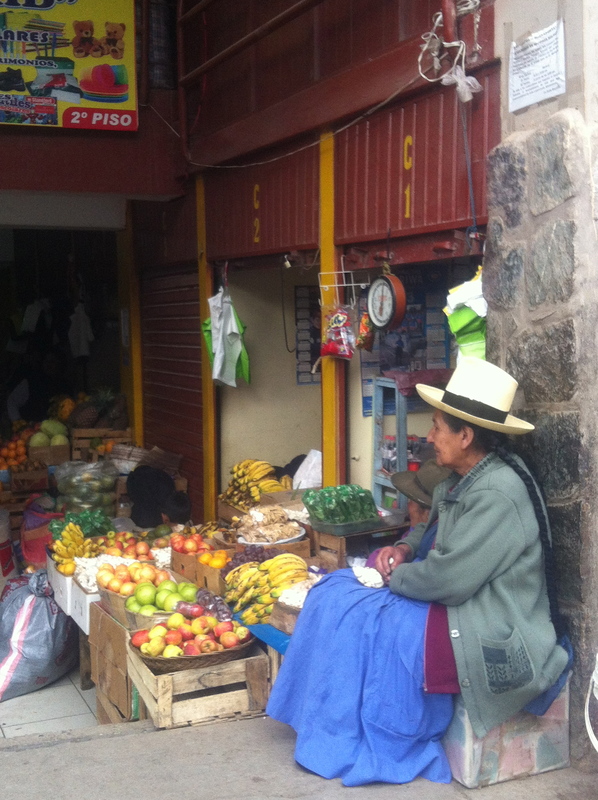 Ollanta, a very small but utterly charming town in the Sacred Valley of the Incas, dates back to the late 15th century. The locals retreated to this town after the Spanish conquered Cusco and right away we could feel the town’s rich history. 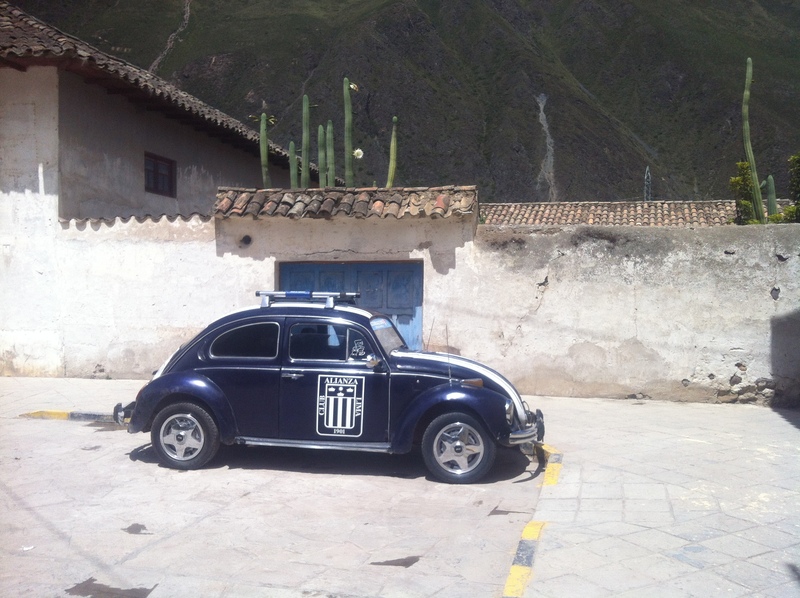 The entrance of Ollanta is the Plaza de Armes, which is surrounded by colonial buildings…It was here that we got our bearings, enjoyed a delicious coffee and saw a cool, vintage police car! We first headed to the Awamaki office (www.awamaki.org) to get details about our homestay for the night. They directed us to the house of Petronilla Gonzales-Orue, her daughter Rene and adorable granddaughter Cynthia. 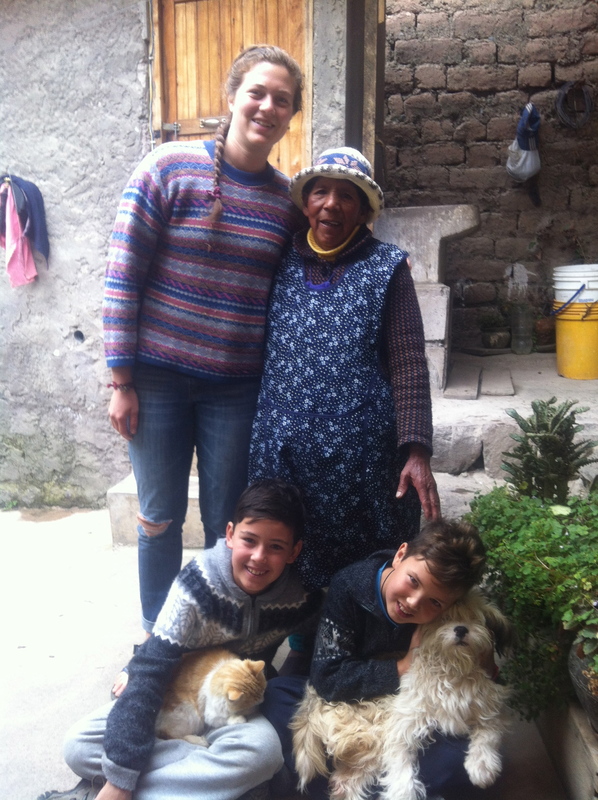 After warm bienvenidos & hugs from Petronilla and an excited hello from the four-legged friend of the house (the boys were crazy about this jumpy, white, fluffy dog), we left our overnight bags and headed for the hills. 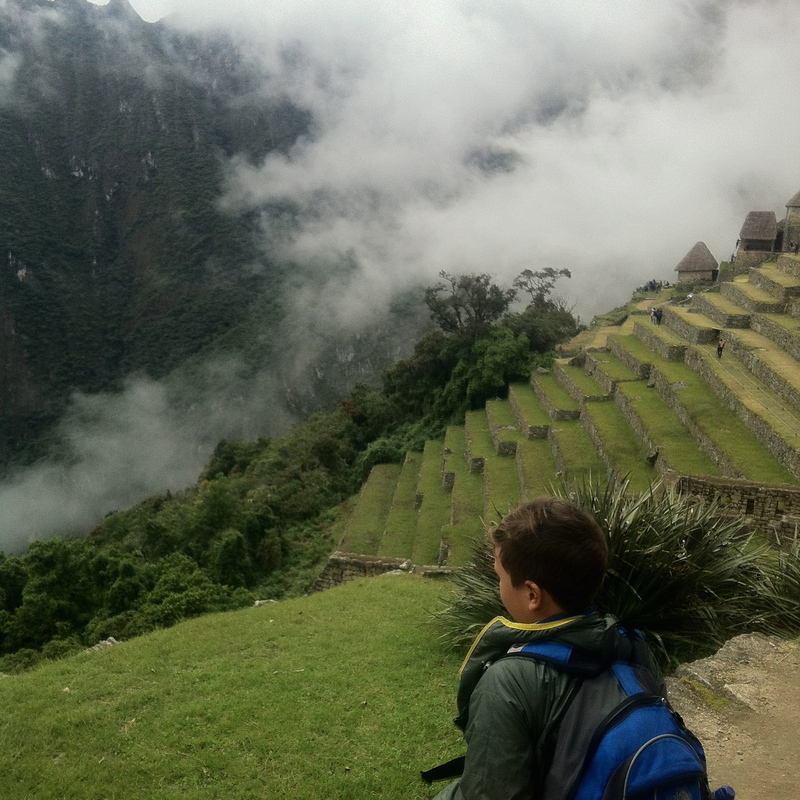 Instead of visiting the very touristy Ollanta Ruins, we opted for the Pinkullyana hike. 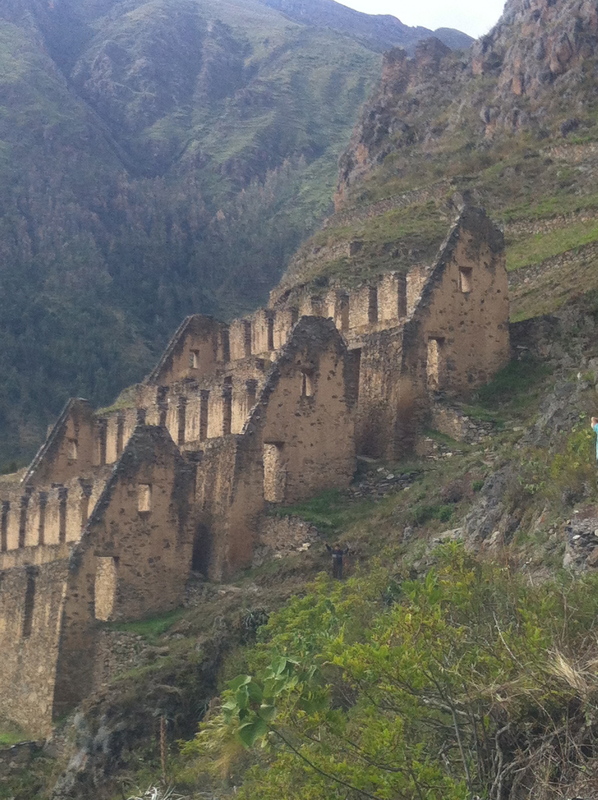 Walking the very steep and somewhat harrowing path that leads to thegorgeous Incan Storehouses and overlooks the town and main ruins was a real treat (and free!). 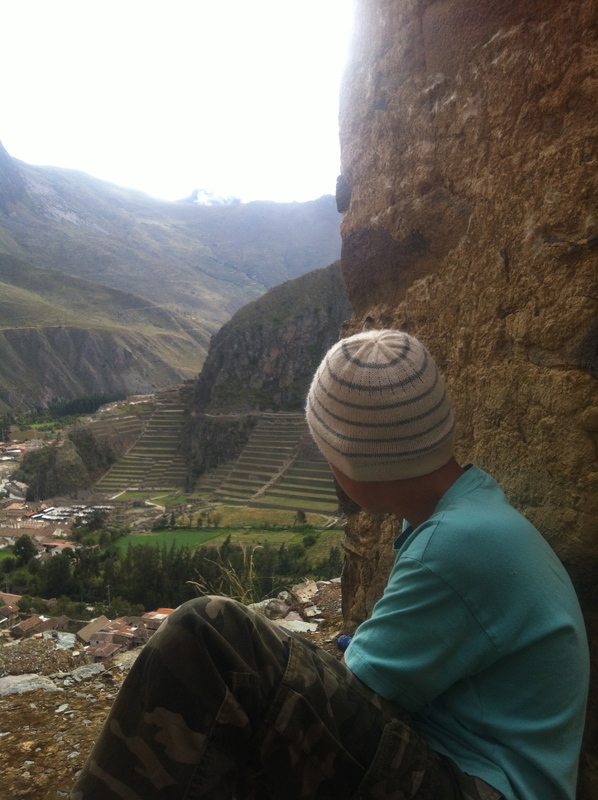 From the top, we enjoyed spectacular views of the Urubamba Valley. 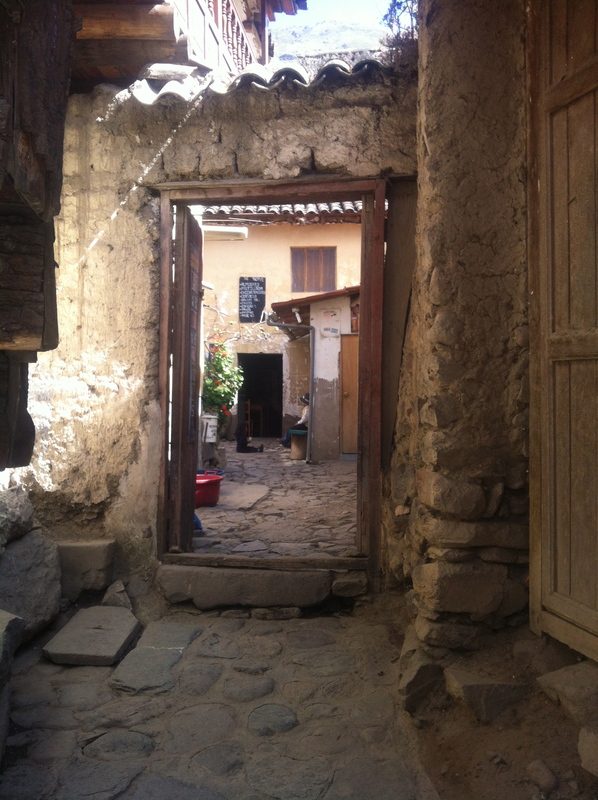 Refreshed, we returned to Petronella’s house, a dwelling located close to the town’s artisanal market where she sells water to tourists by day and hosts Awamaki volunteers and host families by night. During our lovely chat over dinner, we learned that her daughter Rene works with children in Chilka, a small community nearby. Being a teacher, she spoke slowly and articulated clearly which greatly enhanced our conversation with her in Spanish. The next morning, we were all a bit off our game as we didn’t sleep too well but nevertheless, we met Deeba of Awamaki (www.awamaki.org), in town for our Quechua community visit. We drove for about an hour, high up into the mountains to the rural community of Atacancha (the drive up through the breath-taking mountainous region was truly stunning!). Once there, we were greeted by a most colourfully dressed group of women (all sitting in a circle, some with young children peacefully sitting next to them or attached on their backs), in the process of spinning, weaving and/or colouring yarn. It was such a lovely sight! 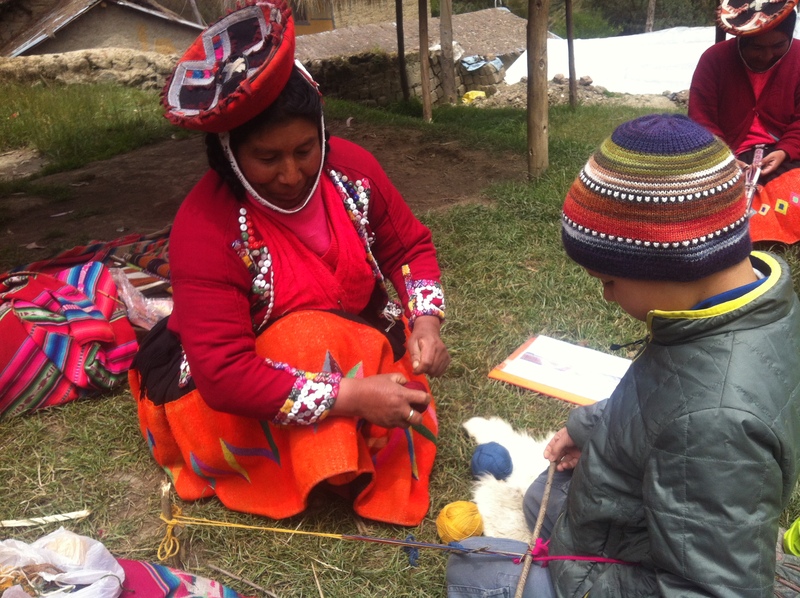 We learned that Awamaki (www.amawaki.org) is a nonprofit social enterprise that works with these rural Andean women and their communities to create economic opportunities and improve social well-being. They do so by empowering these weavers with skills and training and assisting them to sell their products to international retailers of ethically-sourced handmade goods. Also, Awamaki helps to connect global volunteers and tourists like us with these communities so that they can learn about the local culture and traditions. We love these kinds of interactions and information gathering and learned so many interesting facts…such as knowledge about the traditional dress of this indigenous, ethnic group of people. 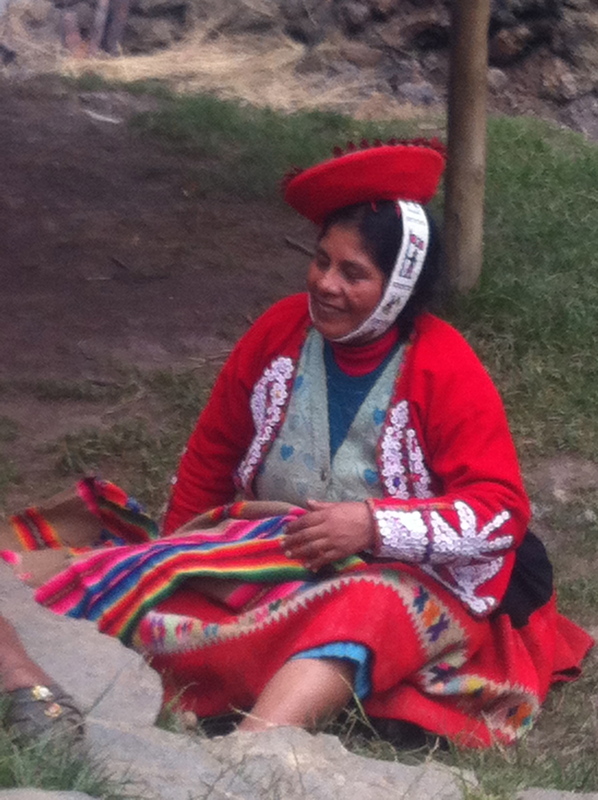 The traditional dress worn by Quechua women today is a mixture of styles from pre-Spanish days and Spanish colonial peasant dress (lots of red colours!). They wear up to about 7 layers of skirt (it gets freezing cold in the mountains!) but traditionally with no socks or stockings underneath. Their standard footwear are ajotas; open sandals that are made out of recycled tires, which makes them cheap and durable. Over their many layers of sweaters, they wear a sleeveless chaleco, which is richly decorated with buttons. And the more their bowler-style headpiece is worn to the side, the more interested they are in finding a life partner (if they add flowers to the headpiece they are even more open to “romance”). The straps that hold up their headpieces are all intricately and uniquely knitted with beats – to portray individuality. All in all, such a unique and interesting style of dressing! 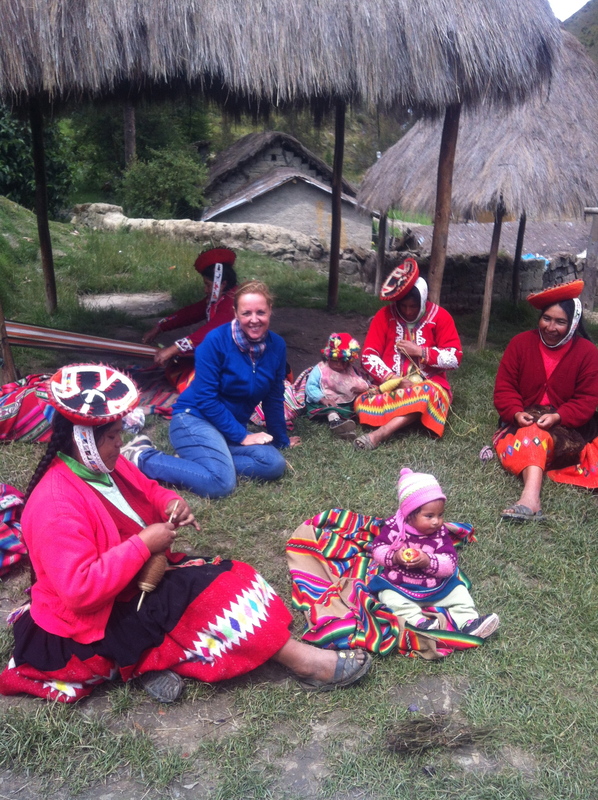 I loved being surrounded by the abundance of colours and sweet, shy smiles of these Quechua women. I was also very interested to learn about the tradition of weaving. This traditional handicraft is a crucial aspect of Peruvian culture and it sits at the very core of Quechua culture, shaping personal and regional identities and acting as a form of inter-regional communication (they vest their entire sense of personal identity in their occupation as a weaver!). 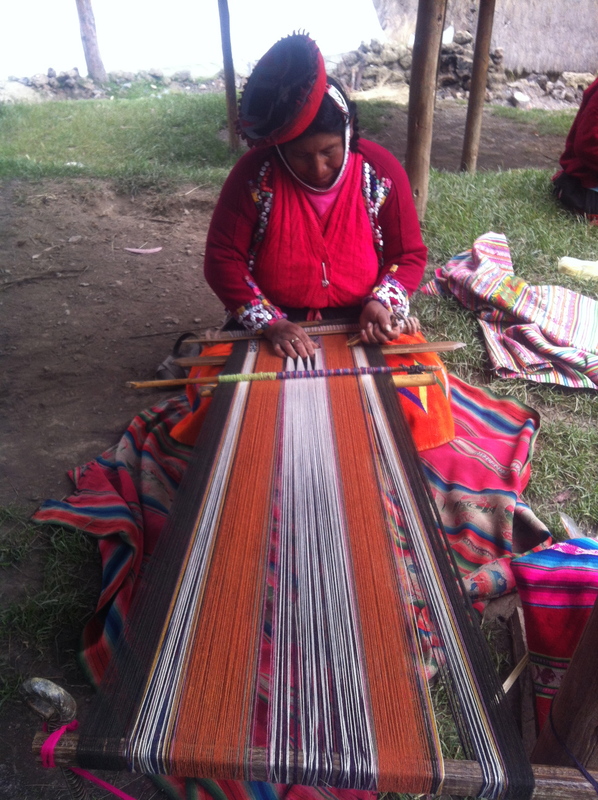 This skill of weaving has been handed down from Inca times or earlier. The women use cotton or wool (from sheep, llamas, alpacas etc. ), and create a multitude of natural dyes (from locally available plants, minerals and insects such as crushed beetles) to produce a myriad of colours and shades. They naturally spin their fibers into a fine yarn using a drop-spindle. This very old tool consists of a wooden stick with a weight on one end. 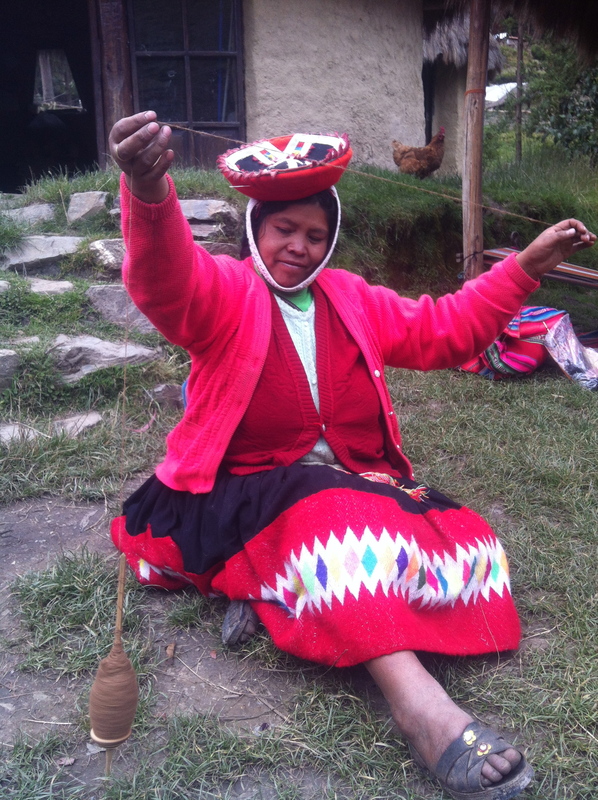 Weavers clasp the stick in their hands and give it a spin, letting it hang freely at is spins. The energy from the spinning motion of the spindle travels into the fiber, twisting the fibers together to form yarn. It was very cool to watch! With the yarn, the women then weave and incorporate numerous patterns or pallay into their designs (they are used to tell a story and are woven in stripes centered in the cloth). 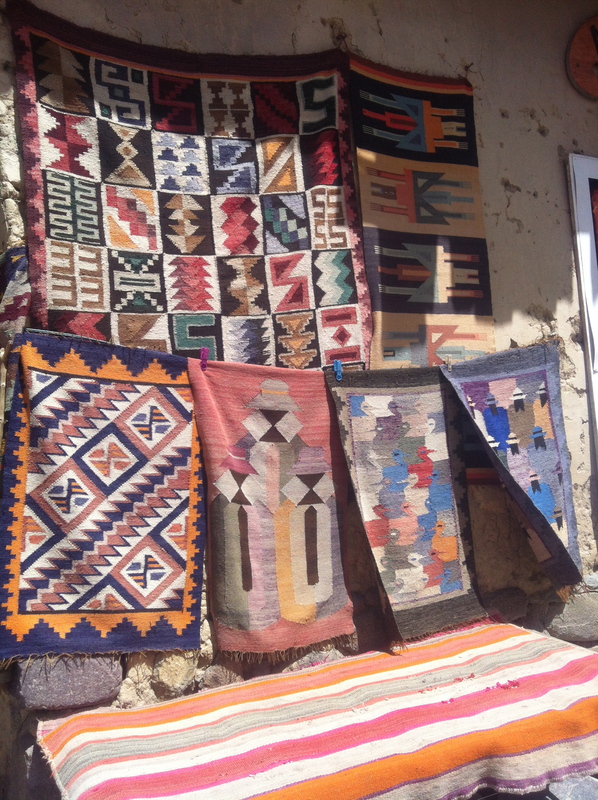 These weavings that are hand dyed, hand spun and hand woven can only turn into little masterpieces. Upon leaving, we were happy to buy a few in support of these hardworking women and their communities. After our return to Ollantaytambo and thank you’s to Deeba, we took the VistaDome of Peru Rail (www.perurail.com) to Aguas Calientes (incredible ride through the mountains and parts of the famous Inka Trail).From many we heard that this town was not the most attractive or interesting place to be in, but at this point all we wanted was some chicken soup and a good bed to sleep in. To our surprise, Condor Palace Hostel (www.condorpalacehostel.com) provided just that – the best shower and bed we’ve encountered in Peru so far! 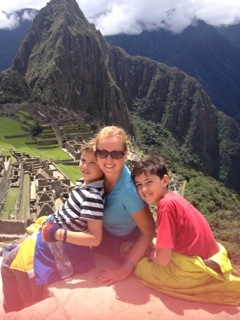 So after a really good rest, we were all feeling better and ready to spend our long-awaited day at Machu Picchu. 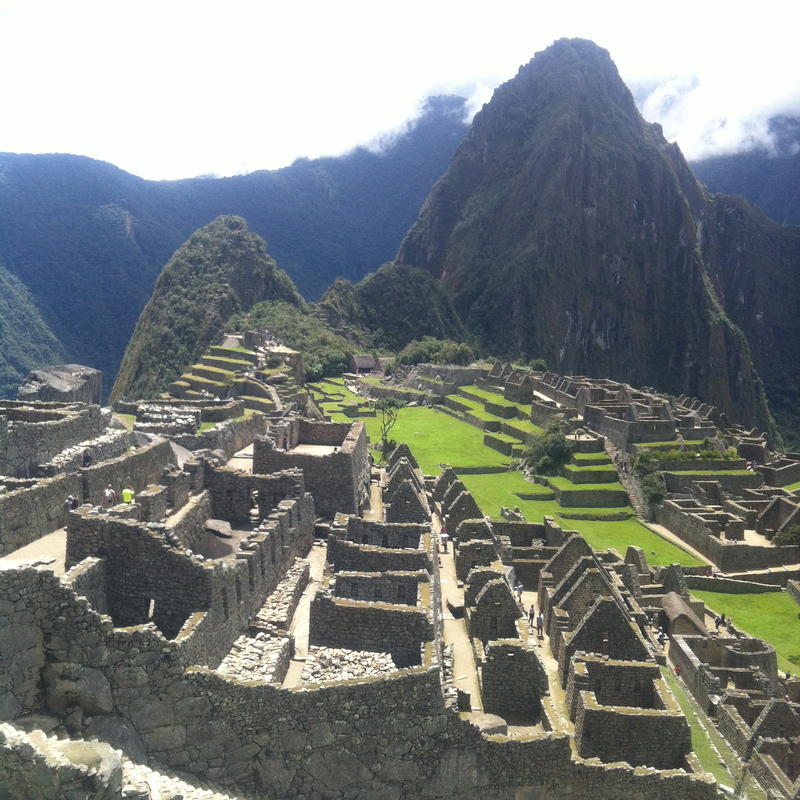 As Machu Picchu was named a World Heritage Site by UNESCO, it is technically protected by the United Nations. Peru’s government has also officially safeguarded Machu Picchu since 1981 under the organizations’ “Union de Gestion de Machu Picchu” (UGM), the “Instituto Nacional de Cultura” (INC), and “Instituto Nacional de Recursos Nacionales” (INRENA). It is believed though that at times these organizations do more harm then good to the protection of the site. As Paolo Greer, a well-known US historian and explorer of Machu Picchu told us first-hand during a lecture at the South-American Club; Machu Picchu in Peru is all about money and politics. He might have a point as new rules announced, but yet to be put in place, are meant to address the issue of overcrowding at the site. “All foreign visitors to Machu Picchu will soon have to hire an official guide to enter the Inca Citadel and follow one of three predetermined routes through the complex and face time limits (2 hours) to keep the traffic going”, under the new rules by the Ministry of Culture in Cusco. Would these new rules actually protect the site, or allow more tourists and money to flow in? The debate is still ongoing but we wanted to play it safe and get in before these took effect! So the week before Easter (the beginning of high season), it was. 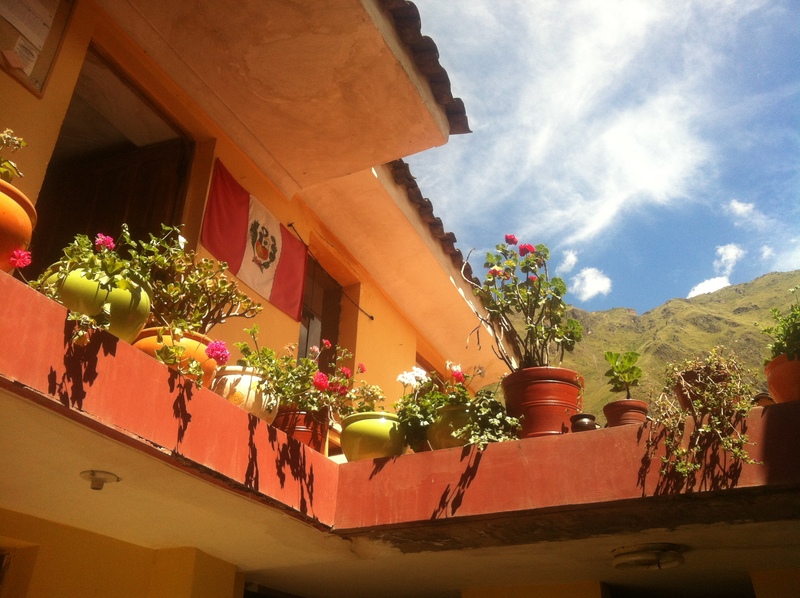 At 8:30 am, we were on the bus that took us from Aguas Calientes high up into the mountains to the famous Inca site. The suspense was building, as we rode higher and higher into the mountains and increasingly dense morning mist. Where was this magical city and how did explorers ever find it here? What makes Machu Picchu so unique in my opinion is that is embedded within a dramatic landscape between the Peruvian Andes and the Amazon Basin (truly a HIDDEN treasure of a city, located so deeply within nature!). 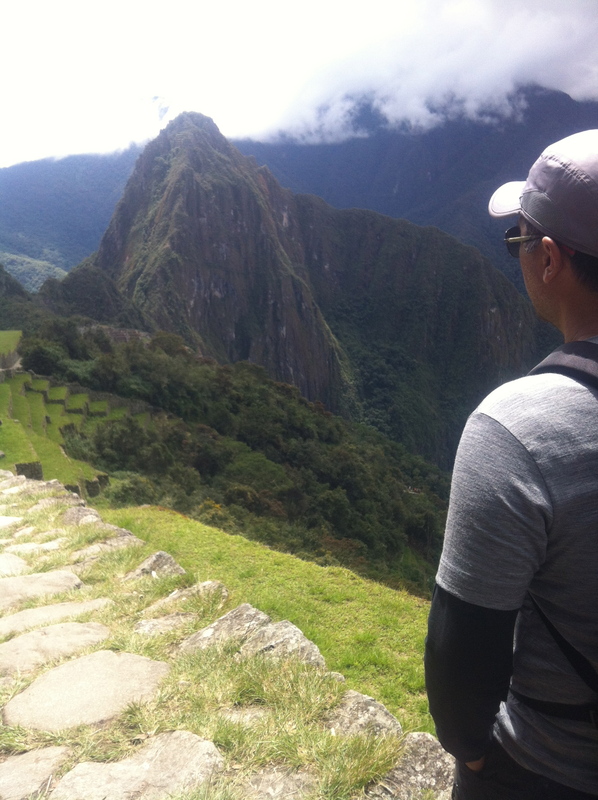 Once we entered the site and saw the spectacular monument of “La Ciudadela” (the Citadel), we understood what all the hype was about and why Machu Picchu has been named one of the NEW 7 wonders of the world. 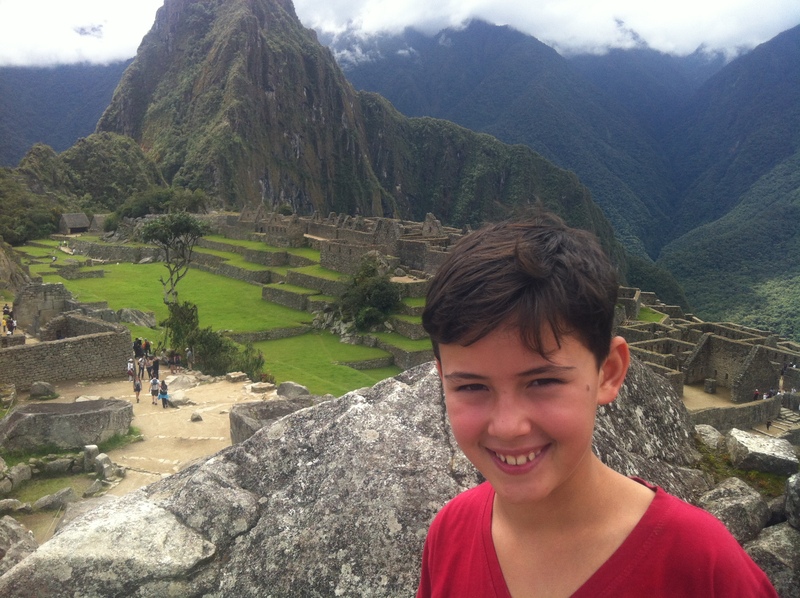 What a magical archaeological complex, this most significant tangible legacy of the Inca civilization is! The refined architecture of Machu Picchu, with is many beautiful structures and stone terraces, seemed to blend so perfectly with its stunning natural environment. We felt very privileged and blessed to take 4 hours to stroll, sit & ponder and take in this most sacred and truly spectacular setting on earth; one that is absolutely deserving of protection (and where people should not run around naked, but that’s a whole other story! ).